Sydney-based Ensemble Offspring, return to Western Australia for a one-week Tura Residency with concerts in Perth and Albany, a workshop in Albany, and a young and emerging composers lab and showing. This is the 5th time that Tura has collaborated with Ensemble Offspring to bring them to Western Australia. Ensemble Offspring was recently recognised at the 2018 Art Music Awards presented by the Australian Music Centre and APRA/AMCOS. The ensemble performed Cantor (after Willa Cather) by Lisa Illean which won the Award for Instrumental Work of the Year. Ensemble Offspring also performed alongside Sydney Symphony Orchestra (conducted by Jack Symonds) with libretto from Tom Wright in Mary Finsterer‘s Biographica, which was awarded Vocal / Choral Work of the Year. Read more from Ensemble Offspring. Ensemble Offspring presents a hard-hitting program of all-female works exploring nostalgia and adventure, love and life in Spel. Ensemble Offspring will be working with four selected composers from The WA Academy of Performing Arts at Edith Cowan University and University of WA Conservatorium of Music to develop new works. The four selected composers are Olivia Davies (UWA), Ryan Burge (ECU), Nate Wood (UWA) and Annika Moses (ECU) who will have their new works presented in an informal showing at the Subiaco Arts Centre. This workshop is a chance for those interested in experimental and improvised approaches to making music and to work alongside premier new music ensemble Ensemble Offspring, regardless of their level of experience and expertise. All instrumentalists and vocalists welcome. Ensemble Offspring are champions of adventurous new music. The group embraces open-minded music-making in all its forms, from seminal chamber work to free improvisation, alongside the creation of striking interdisciplinary productions. 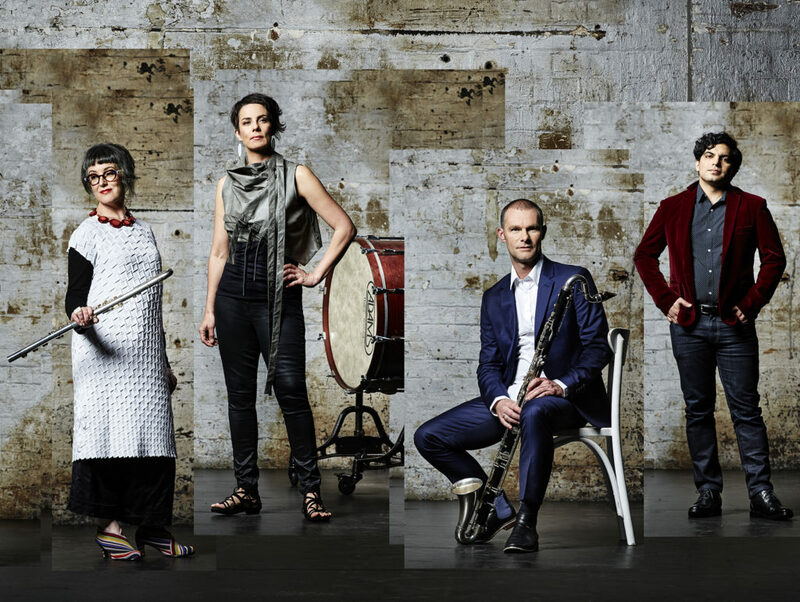 Based in Sydney, Ensemble Offspring is led by acclaimed percussionist, Claire Edwardes, and features some of Australia’s most innovative and virtuosic performers. Winners of the 2016 Art Music Award for Excellence by an Organisation for the group’s more than 20 years’ contribution to Australian music, Ensemble Offspring has performed throughout Australia and the world – from Katherine to Hong Kong and Brugge to Wagga Wagga.